The Haunts of Hidden River have greased the wagon wheels in preparation of the annual Haunted Hayrides. The event is hosted at Arbuckle Acres Park in Brownsburg. 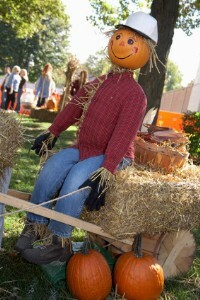 Kids Costume Contest, a Pumpkin Carving Contest and a concert by KIST. Not KISS Children of all ages are sure to enjoy the Slightly Haunted Puppet Show.